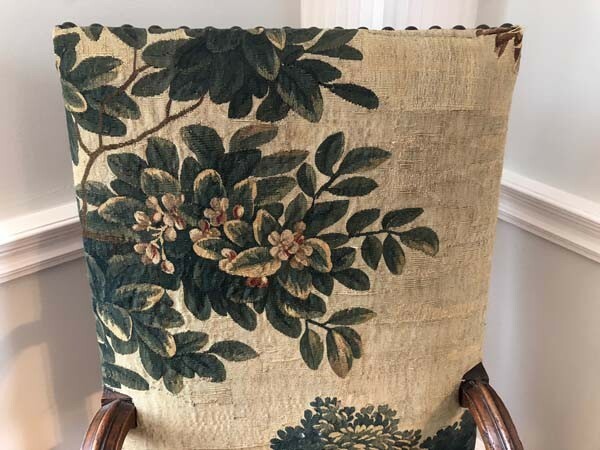 As soon as I met Rosemarie Padovano in her shop and workroom in Old Lyme where she specializes in impossible-to-find fabrics, interior design, and custom furniture, I knew I had to see her house. 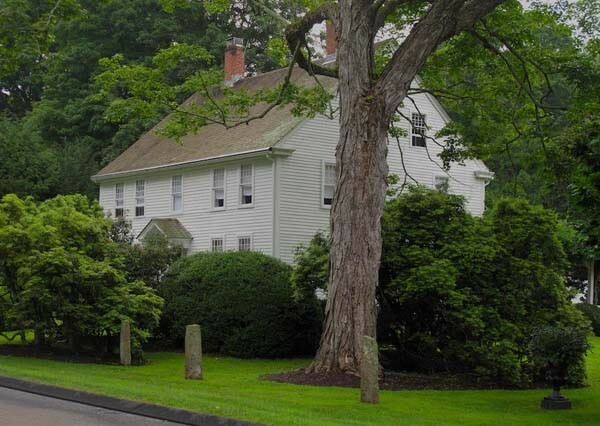 I was familiar with the severe colonial known for its classic architecture, 18th-century provenance, and somewhat neglected garden designed by the Olmsted Brothers. Rosemarie has her Masters degree in sculpture and her husband, Marcello Marvelli, an art historian, has his doctorate in Byzantine and Renaissance art. Both creatives and avid sailors, the couple decamped from Brooklyn for the quieter life of the Connecticut Shoreline. 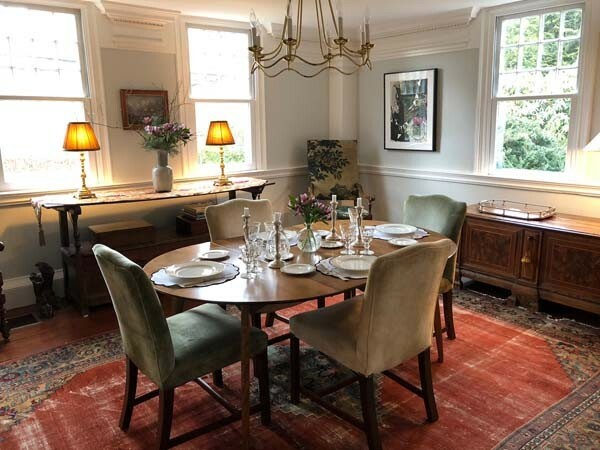 They left their modern digs filled with mid-century furniture for an antique home that they have meticulously restored. Note I did NOT say renovated. 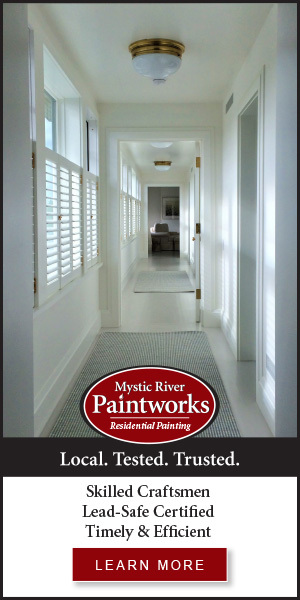 Instead, they paid strict attention to the history of the house and spit-polished it to its former glory as the abode of one of Old Lyme’s famous Impressionists. Perfectly proportioned rooms are laid out on the first floor. 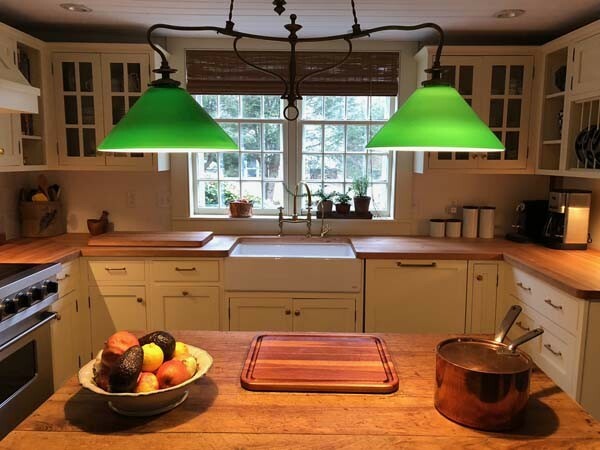 The kitchen had endured a previous renovation and needed only minor updates, like the warm burnished brass fixtures and laboriously stained checkerboard floor. 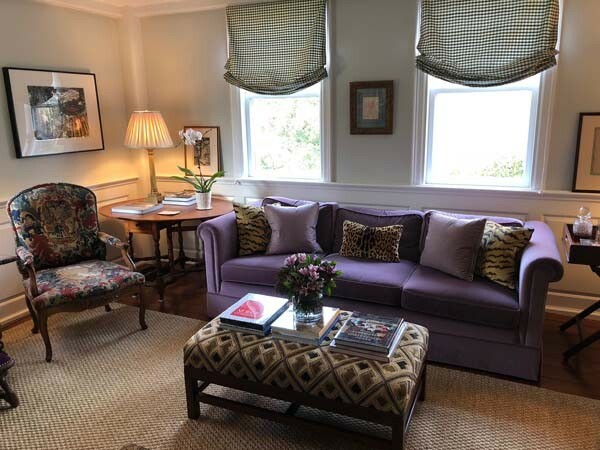 The living room, dining room, and library on the first floor were mainly painted with custom historical colors and decorated with a heady mix of antiques and newer pieces. 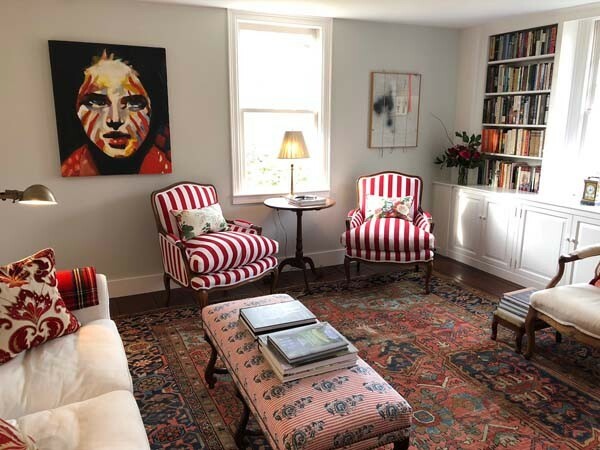 Upstairs, light streams in the “morning room” and the red-striped upholstery on the Bergeres practically sings. 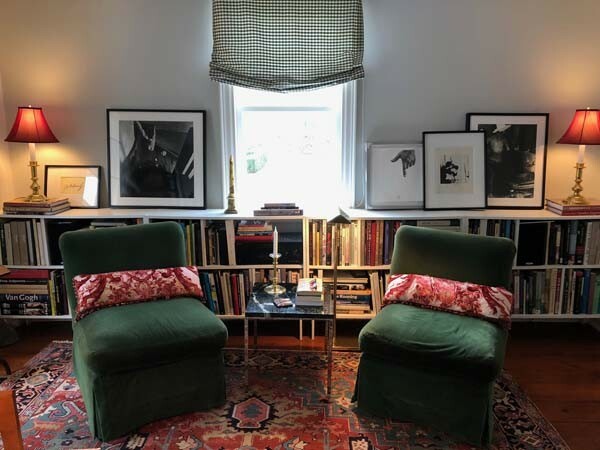 The rooms are deeply personal, layered with colorful textiles, rugs, piles of books, modern art, and photographs by Larry Fink and Christer Stromholm. 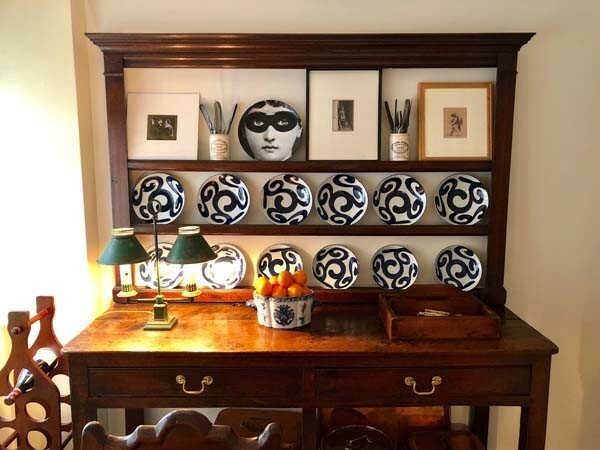 Fornasetti ceramics sit happily next to Chinatown porcelain. These two have a meticulous eye. 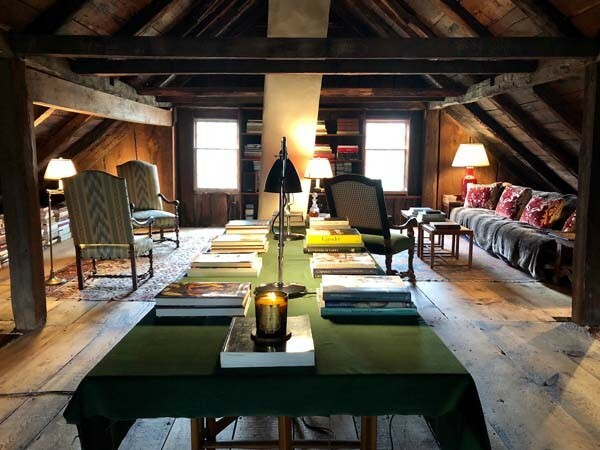 For me, the piece de resistance is the attic. 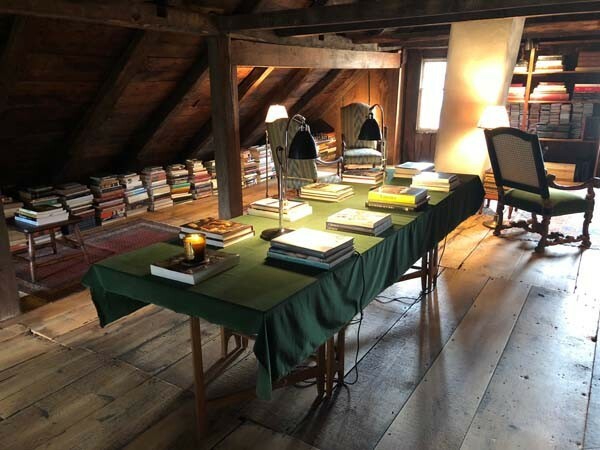 Once a warren of wiring and ductwork, the space, which encompasses the entire footprint of the house, is now home to the couple’s vast library (over four tons worth of books! ), which line the ancient walls. 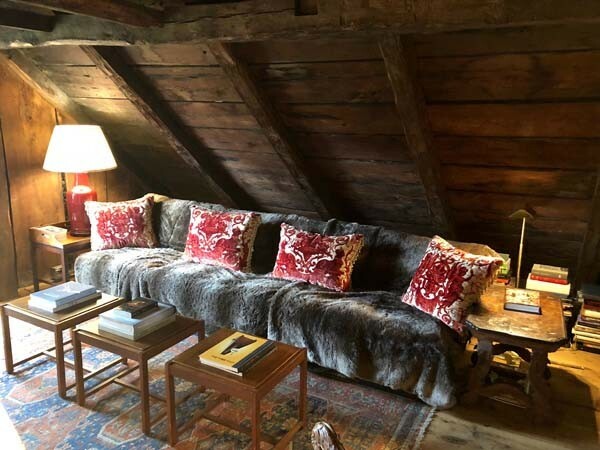 Cozy couches strewn with Fortuny pillows beg for curling up with an art tome, while a chess set stands at the ready nearby. 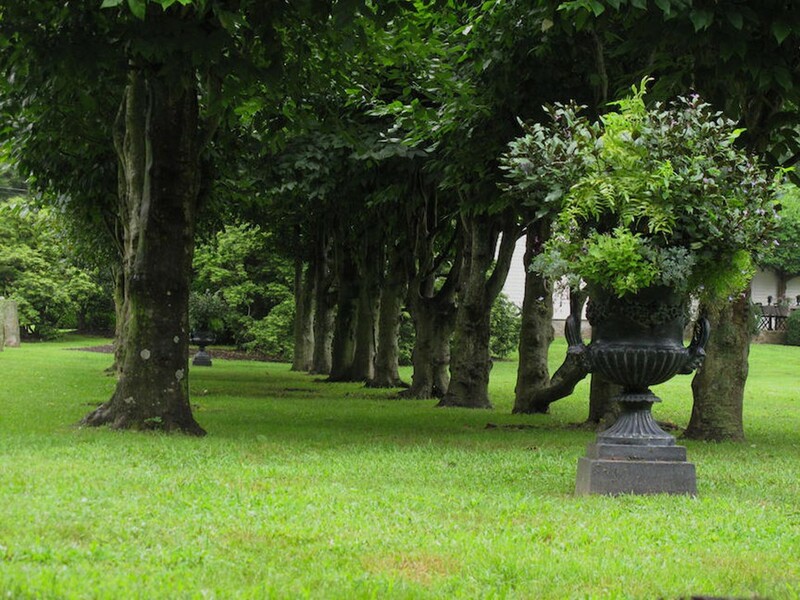 Through the original window panes, you can gaze down on the newly refurbished gardens, which have been restored to their original grandeur, including the beech allée and pond surrounded by trimmed boxwood. But here’s the craziest part, the couple moved in a year and a half ago and started fresh. Granted, as designers and dealers, they have access to auctions and secret sources we know nothing about. 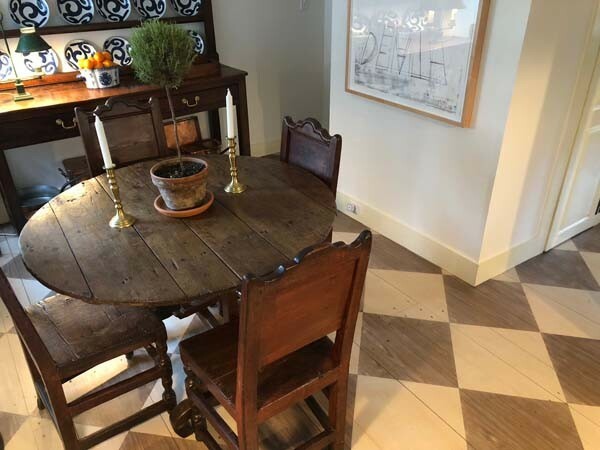 But for those of us who have lived in our homes for twenty years and still have plenty to finish, it’s hard to believe that this beautifully decorated home has taken them such a short time to pull together. My iPhone shots don’t do it justice, but you get the idea….and the inspiration. 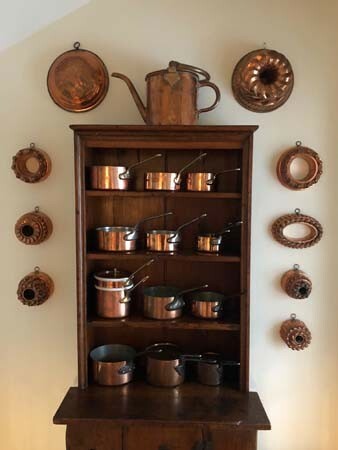 Read about their shop, Artemisia, here. 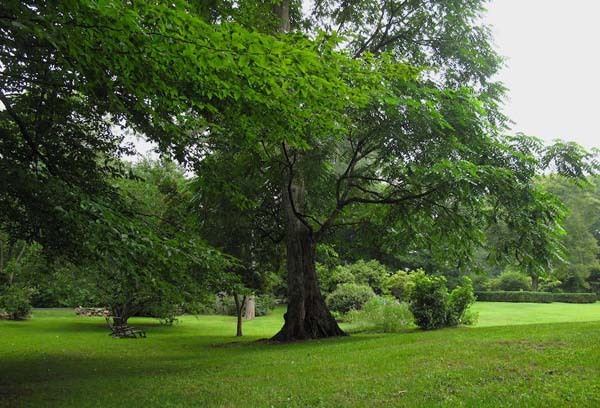 Main Image: The Olmsted Brothers Garden and Beech Allée.